amazing feedback by the Machinae Bros.
Re: amazing feedback by the Machinae Bros. I don't see what's lacking in that response. Me and Robert were working on posting gig dates and summarize all other things to do before the release of the new album, when Rob quickly saw the question and answered with a short yes. As in yes... we will give you a higher resolution wallpaper that will fit your screen. This was a short, but main point was that we had recognized his wish and were going to fulfill it at a later time. Please use better language and act in a civilized manor on this board. I don't really see how this is a bad response. I have no idea what this thread was all about and I don't wanna know either. Oh wow, Jack actually gets a response on Facebook (you wouldn't get that from any major band out there) and he's pissed off? In fact, he feels some great unjustice has been done to him, because he has to post is there and show it to the world? I don't think the picture is relevant to the thread at all? 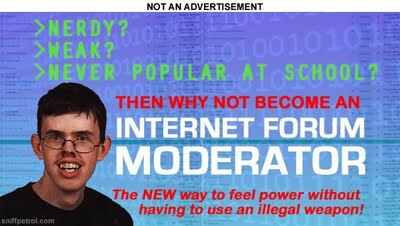 He's not exercising his power as a moderator, he's complaining about receiving a response from the band. Dumb, yes, power trip? No. ...Good point. That was stupid of me. Sorry. Still, it's an infinitely silly complaint to make, and especially not one a moderator should be making. Should have locked this topic days ago, but I hoped it'd die by itself. There's no good going on here.